Home Agriculture Why Are Some Nigerians Eager To Migrate? Why Are Some Nigerians Eager To Migrate? 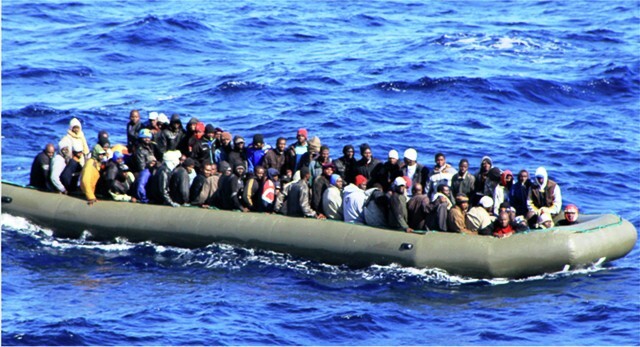 Migrants crossing to Europe through the Mediterranean Sea. Photo: Doctors Without Borders. Joyce Esosa, 29, is from Edo but finds herself roaming the streets of Abuja after an attempt to migrate to another country without valid documents failed. Earlier, she had also made frantic efforts to study medicine in one of the nation’s universities but she was not lucky and she believes something ought to be done quickly because she is ageing. She finally got involved in discussions with some friends on how Nigerians move to other countries to seek job and comfort in most of European countries, especially, Spain, via crossing the Mediterranean Sea in Libya coasts to the country. Telling her story to justify her decision to travel out, she says “each day in Nigeria feels like hell for me and all I want is an opportunity to travel abroad and make a better living. “I have nine siblings and I am the third; my father died years back and my mother is a petty plantain trader; life has been very difficult for the family. “Two of my siblings died due to lack of money; the first one died in an accident where she hawked sachet water. “Eight months after, I lost the second to a sickness that required blood transfusion and because the family did not have money to buy blood, he had to die. “I decided to seek a better life for both myself and family at all cost, I ran away from home four years ago. Similarly, 34-year old Musa Ahmed, a commercial motorcycle operator from Zamfara believes that people are willing to do anything to improve their living standard, attributing the development to level of poverty in the country. “That is why the crime is high in Nigeria because it hurts a lot to see your loved ones suffering and you can’t help or do much. “I live in an uncompleted building with my family; I was a farmer back in Zamfara now in Cross River. I relocated because I wanted a better life for myself and for my family. “Life is not getting better here either for me and my family, I ride motorcycle in which each drop is N50 and I make at least N1, 500 per day, but it is usually not enough. “If government can create opportunities and bring down the cost of living, things will get better and Nigerians will not waste time in seeking comfort elsewhere,’’ he said. Observers, therefore, note that poverty, lack of job opportunities and uncertainty about life, somewhat, contribute to the desire of some Nigerians to flee the country. The note that although government authorities and other stakeholders have been warning against illegal migration on many occasions, some people are bent on such mission that, in most cases, can end in regret. Yet, statistics from European Union show that Nigeria has the fifth highest number of citizens illegally migrating to Europe in the search for illusive greener pastures. Worried by the development, the Chief Executive Officer of a non-governmental organisation, Connected Development, Mr Hamzat Lawal, called on the youth to leverage on the climate change to create sustainable job opportunities using emerging technology instead of travelling overseas. Lawal noted that climate change was a 21st century problem which could also have its advantages to check illegal migration. He said as much as climate change was viewed as a problem, it was also an opportunity for the country to manage its limited and scare resources. “We can generate electricity from solar energy or sunlight. We can use new and emerging technology to cook and reduce greenhouse gas; this is how it can become an opportunity. “Climate change has affected our economy negatively; also our forest cover has been depleted over time by people cutting down trees for fire or furniture. “The Lake Chad region which used to be a business hub for Nigeria and even other African countries, where they have fishermen and women doing businesses, is no longer so. 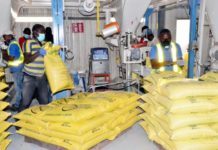 “This means that the young energetic people have now migrated and left the region in search of greener pasture whereas they can use new and emerging technology created by climate change to develop in their own country,’’ he said. Lawal said migration of Nigerians had also increased because of the economic crisis in the country, observing that there were still hope and opportunities. “We are losing talents and young minds that are supposed to build our growing economy because people are leaving the country because of lack of opportunities,’’ he said. “Government needs to look at how we can thrive by tapping into new and emerging technologies such as the clean cooking stoves that emit lesser greenhouse gas to engage the youth. “If we can invest more in solar technology, build capacity and also reduce taxes to businesses, it will create value and jobs. “If there is an enabling environment where there is hope of prosperity, people will not want to travel out of the country. “People will not want to leave their comfort zone to undertake the risk of travelling for days and putting their lives in danger. “But, because things are not the way they should be, that is why people are willing to take all manner of risks to better their lives; simply because they believe that there is hope and prosperity on the other side,’’ he observed. In the light of this, Mr Nnimmo Bassey, an environmentalist, advised the Federal Government to implement existing expert research findings to recharge the Lake Chad basin. Bassey, the Executive Director, Environmental Rights Action, an environmental rights advocacy group, observed that it was a good development that Germany offered to pump 18 billion Euros to recharge the Lake Chad Basin. 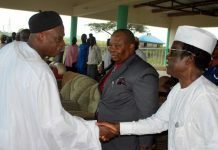 He said implementing the research findings, already analysed by experts, would contribute to the success of the project. The environmentalist, who attributed the shrinking of the lake largely to climate change, said that research had been conducted over the years on ways to tackle the problem. Bassey, therefore, commended Nigerian and German governments for their efforts to revive the lake, noting that vibrant Lake Chad business communities would, to some extent, check illegal migration among Nigerian youths. “We do not have details of what the assistance from Germany will be directed to, but we hope it addresses the research findings of appropriate bodies that have worked on the challenge. “There is the need to rebuild the overall environment but this must be phased with short, medium and long term outlays. “Efforts must be made holistically with all countries in the Lake Chad basin playing their roles. “There is urgent need for us to step up our watershed management because sometimes, we tend to think that water supply is inexhaustible,’’ he said. Bassey suggested intensive planting of indigenous trees and crops that were well adapted to the region to protect watersheds and the environment. All the same, concerned citizens believe that implementation of good policies and making the governance process more citizen-friendly, are some of the methods of discouraging more Nigerians from travelling abroad illegally. Onyegbula writes for News Agency of Nigeria.